Ash Wipe chimney sweeps roots began in the fall of 1981. I was in the tree business, and through my tree business sold a lot of firewood. Several customers had asked me if I knew anyone who cleaned chimneys. Being that the tree business begins to slow down in the fall and the chimney business is busiest in the fall, it seemed to be a perfect combination of businesses. I looked into the business and found there wasn’t many people cleaning chimneys, and I already had clients ready to go. I decided to learn the art of sweeping and start up a little chimney sweeping business. An old saying goes “it takes fifteen years to become an overnight success”. I am testimony to that statement. 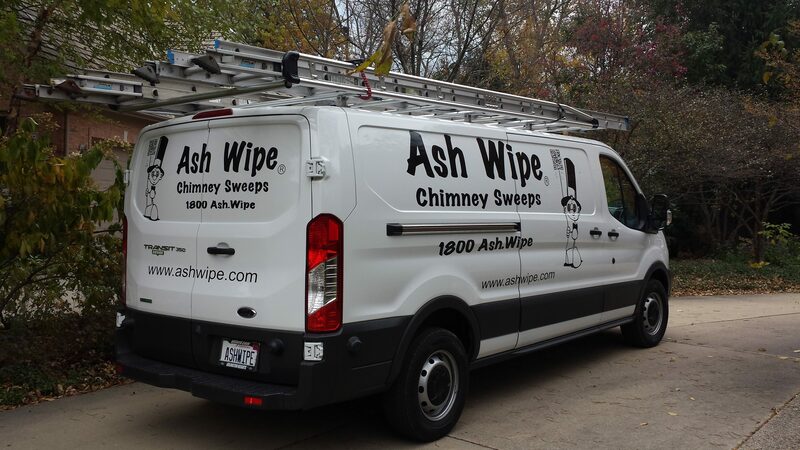 Ash Wipe is fairly well known in the northern suburbs of Chicago now, but it took many years of hard work to become trusted and known. I have a nice client list of repeat customers and they have come to trust that I am honest, prompt and fair with them. Chimney sweeping is an age old art many think has gone away with the ages, but a chimney fire can burn down a house just as fast today as it could have 900 years ago (yes, that is when sweeping began). A few things have changed, but not many. Whether you make an appointment with myself or another company is up to you, but if you enjoy burning your fireplace, please remember to have it cleaned when it is due. It is a small price to pay to save a potential disaster.